Canon camera lenses are as diverse as you can imagine. No matter what your situation, you can find the right lens. 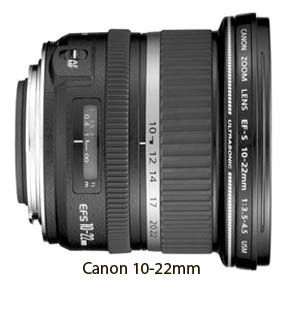 This post is on overall guide to the Canon lens lineup with links to many of the specific lenses. 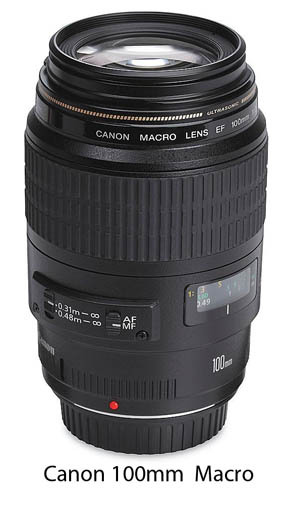 You can start with a peak at the Ultra Wide Zoom lenses such as the 10-22mm, 8-15mm, 16-35mm and the Canon 17-40. All of these lenses are part of the Canon EOS system. 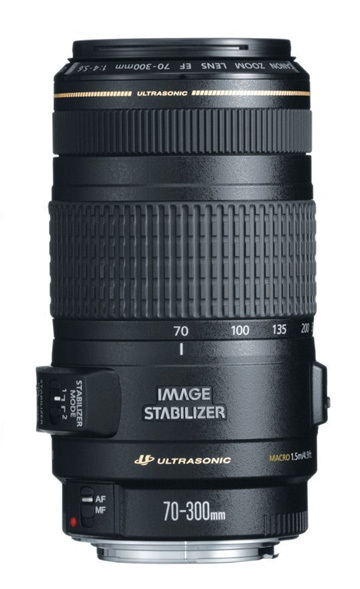 Ultra wide zoom lenses give you tremendous depth of field and an ability to include a lot of subject in your composition. The Non-zooming Wide Angle lenses are perhaps the least utilized. Many beginner Canon users mistakenly think they can get the exact same results by using a standard zoom. Non-zooming. "prime" lenses aren't as versatile as zooming lenses, but you get the best qulity images possible with prime lenses. You can get them in fixed focal lengths of 14, 15, 20, 24, 28 and 35mm. Several of these also have choices of different maximum f-stop lens openings. 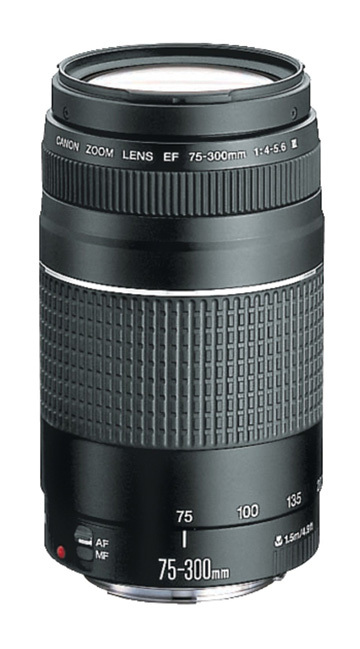 The Standard Zoom lens category has probably the most offerings and are by far the most popular. These range from wide-angle-to-normal and wide-angle-to-telephoto capabilities. 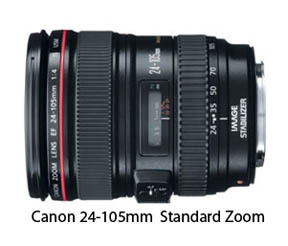 The lens that many advanced Canon photographers consider to be the best single lens to get is the standard zoom: Canon 24-105 Lens. It works on both full-frame cameras and APS-C cameras-although its wide angle setting is somewhat limited because of the crop factor. For those that are a stricter budget, the Canon 28-135 lens could be considered as the best lens choice. Consumers like these because they can adequately handle most photography situations without having to change lenses. The standard Canon standard, non-zooming lenses can actually improve your photography technique. These prime lenses force you into trying different camera positions and distances from your subject. You'll tent to get more photos with different perspectives this way. Using just a standard Canon lens may seem limiting at first. What can be good is it forces you to take a different approach to getting creative photograph. You may have to pay more attention to perspective and composition. 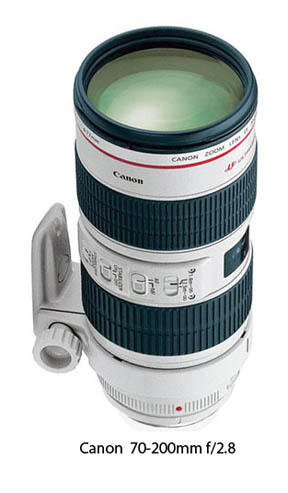 Canon Telephoto Zoom Lenses help you to photograph details that a normal perspective would miss. This is a photo of the Canon 70-200 f2.8 lens on the right. It's lighter, smaller sister is the Canon 70-200 f4. These are great for portraits, sports and nature photography. If you are looking for the Canon lens reviews with the specific technical specifications and scientific graphs and charts, you have come to the wrong place. What I do is provide practical comparisons and opinions. I read all the technical stuff for you, chew it up, digest it and give you what matters. I gather my information from several on line sources and combine my experiences and observations from many years of using photography equipment. These are just my personal opinions. As human beings, we all have a unique perspective and different preferences. Canon macro lenses bring a whole new universe to photograph. Details unseen to the naked eye. True macro lenses are far superior for close-up photography than "macro-focusing" Lenses. So there are many choices for macro lenses. Which is the best Macro Lens For Canon? Insects and flowers are the two most popular macro photography subjects seek out. The Canon 400 f5.6 L lens does not get much fanfare. It is one of those "oldie by goodie" lenses. Prime lenses are not as mainstream as zoom lenses, but I love mine in certain situations. This is a very affordable way to enter into wildlife and sports photography with outstanding quality at an affordable price. Some of the sources I use are huge web sites filled with test data from professional lens testers and reviewers. I also heavily rely on camera lens reviews from consumers who have actually purchased and used the lenses. I read a lot of reviews on Canon camera lenses and assimilate the information. This collaboration of information is then presented to you in my own unique style. I also must confess that I am a big fan of Amazon. Amazon is the world leader in customer satisfaction and customer service. Best Canon Portrait Lens My first true portrait lens that I purchased was the Canon 85mm f-1.8. Some facts about defects in camera lenses. Canon lenses and non-Canon lenses.